Plans for a standalone Tesco store alongside a pub at North Anston are being recommended for refusal after a dispute over the land has lead to a "poor layout" being submitted. The planning application, which dates back to 2015, proposes the construction of an extension to The Cutler public house to provide a separate new retail shop unit for Tesco's. It is proposed that the Cutler remains in use as a public house whilst a 3,100 sq ft Tesco Express store is built to the North to cater for local retailing needs. The ownership of the site has been separated between the applicant, who would lease from the current owner Wulstan Capital, and the owners of the public house who retain ownership of The Cutler building and land to the south including the car park and the access from Woodsetts Road. The pub owners want to keep the beer garden on the site which has caused problems for Tesco. An officer's report to an upcoming planning board explains: "The Council have requested that Tesco's engage in negotiations with the owners of this land to include it within their site and therefore their control. However, Tesco's have confirmed that the owner is unwilling to sell this land to them and wishes to retain it as part of the licensed public house premises. 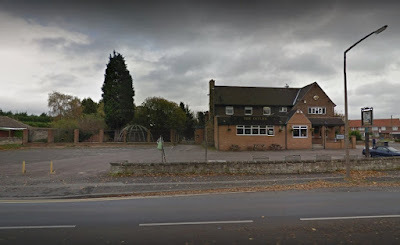 "Whilst this is noted, it is considered that the proposed ownership arrangement creates a poor and unsatisfactory layout by physically disconnecting this beer garden area from the licensed premises of The Cutler public house. This would lead to users of the public house having to walk past the store premises with their drinks and the staff of the public house being unable to provide adequate surveillance of their beer garden." 84 objections to the scheme have been received, including from neighbouring residents who have raised concerns about the possibility for anti-social behaviour occurring from the beer garden as the site would be remote from the public house and would not be overlooked by the store. Members of the planning board are being recommended to refuse the application "for the poor layout as the development would fail to contribute to securing a healthy and safe environment."